Fully furnished blue cottage. Furniture packed and rezzed separately. Contains kitchen, livingroom and bedroom. 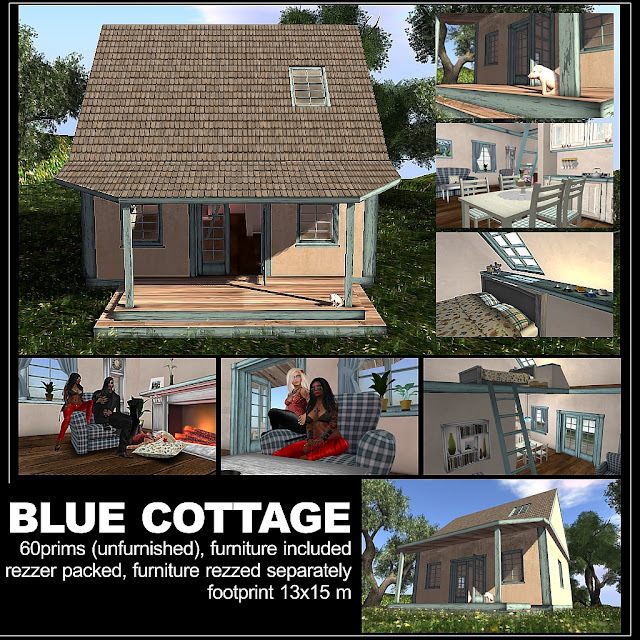 The structure is only 60 prims and its footprint is 13x15m.Fully furnished blue cottage. Furniture packed and rezzed separately. Contains kitchen, livingroom and bedroom. The structure is only 60 prims and its footprint is 13x15m.